Classic white sneakers with a twist! As promised, we’re back with another fantastic shoe from our friends at People Footwear – The Stanley Knit. 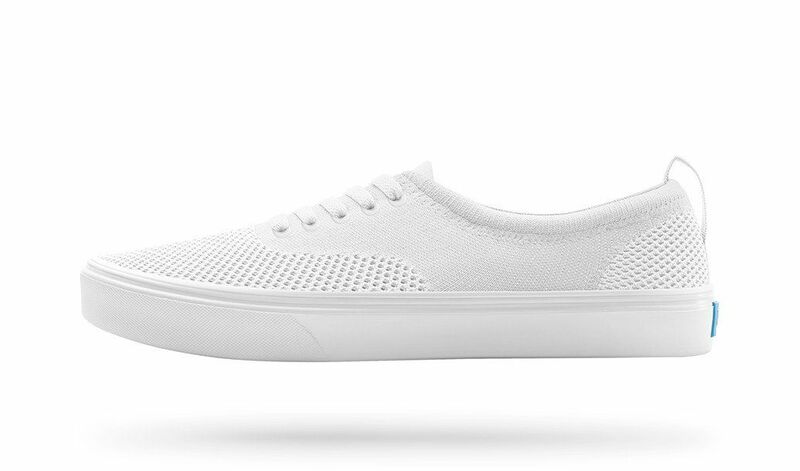 With a timeless style and a slight twist, these shoes have a digitally-knitted upper. Yes, knitted, so they have a bit of stretch to them which makes them form fitting and breathable – just what we need with warm weather. They’re ultra-lightweight just like the Phillips, and the removable “SuperCush” sock-liner with vent channels, molds to your foot and provides both padding and aeration, ideal for long walks through town. With a plethora of solid colors, neutral and bright, as well as two-toned, fun color combinations, you’re sure to find the right style to match your unique TrailblazerGirl personality. Yet another winning pair of sneakers from our friends at People Footwear!